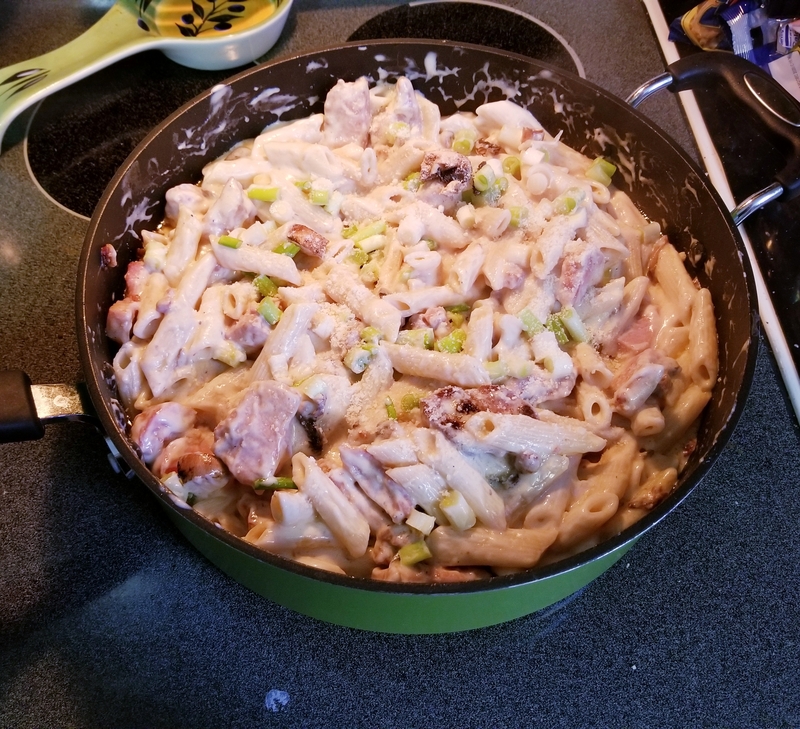 I got accepted in to the Smithfield House Party which gave me the chance to try out this awesome meal from their site! I was very pleased with how this turned out and cannot wait to make it again. This recipe does make a large amount of food, so adjust accordingly. Add another 1 tablespoon of oil in the skillet over Medium-High heat; add the sliced mushrooms and sprinkle lightly with salt. Cook 3 minutes or until tender, stirring occasionally. 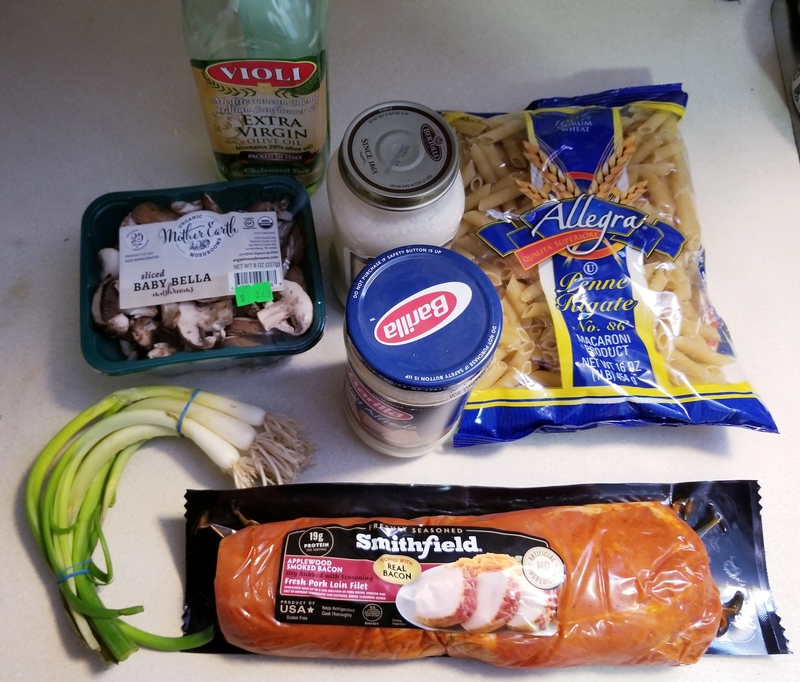 Drain pasta and return to pot; stir in pork and bacon, mushrooms and Alfredo sauce. Stir over Medium heat about 4 minutes until heated through. Season with salt and pepper to taste.